Soon everyone will be enjoying some bicycle outings full of fond memories. 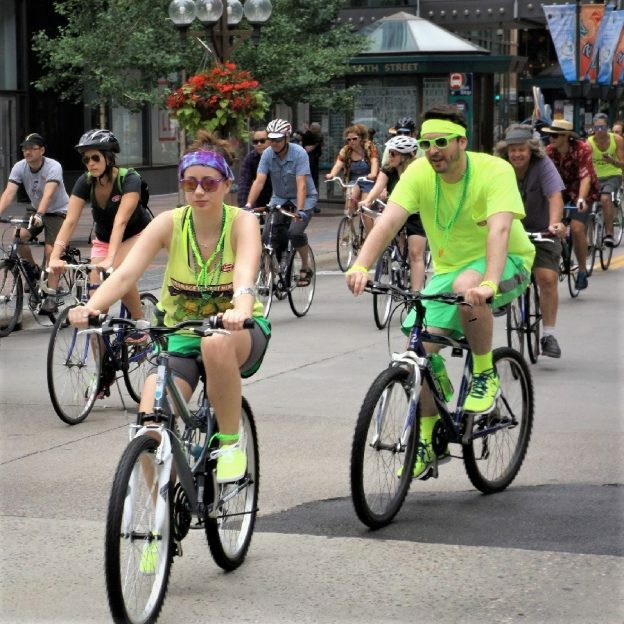 Here in this photo were some parading cyclists, many in costume, riding down the Nicollet Mall in Downtown Minneapolis, on the Tour d’ Fat. 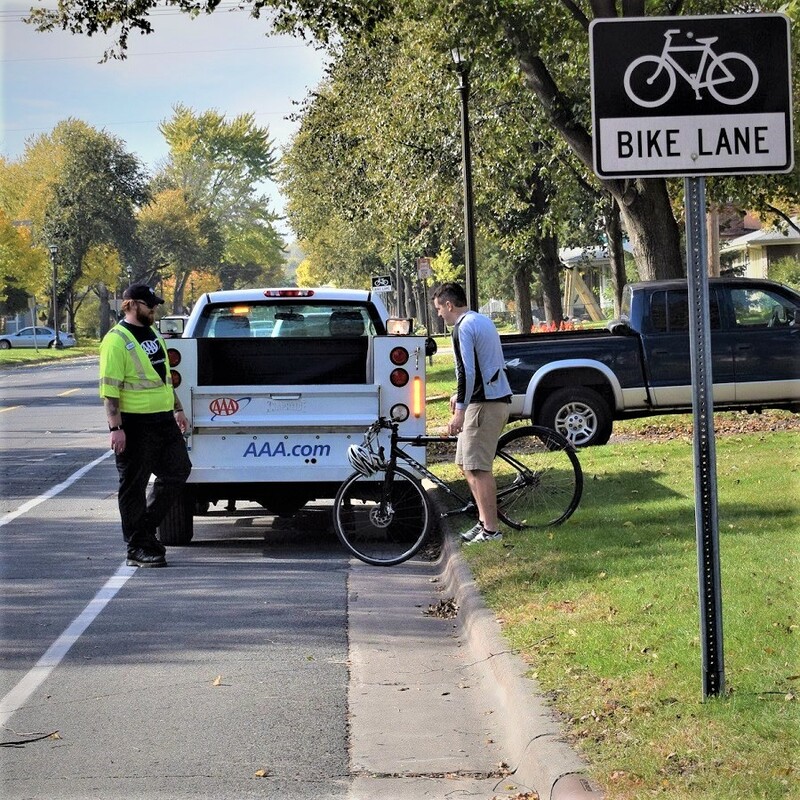 This entry was posted in Picture of the Day and tagged bike events, bike parades, fun, Minnesota bike maps bike parades, Open Streets, pic of the day, tour d' fat on May 12, 2018 by Russ Lowthian. Yeah its Friday and with so many fat bike fun races coming up why not consider entering one. Not to win, unless you are highly competitive, but to get out on a new fat bike course that is groomed and ready to explore. The Penn Cycle Twin Cities Fat Tire Loppet. This annual event starts in Theodore Wirth Park, in Minneapolis, MN, on February 3rd. Utilizing the park’s cross country ski trails, this is the only time fat bikes are allowed in the park throughout the winter. 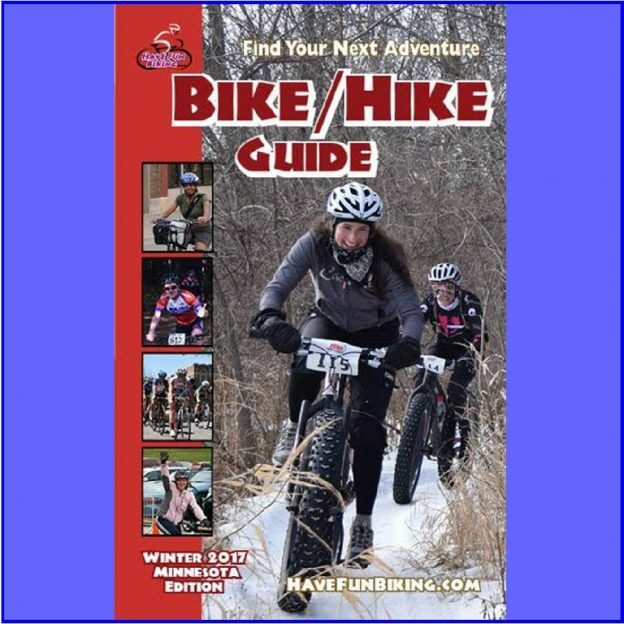 For more fat bike opportunities in Minnesota check out the MNTrail Navigator.com and in Iowa click on BikeIowa.com. 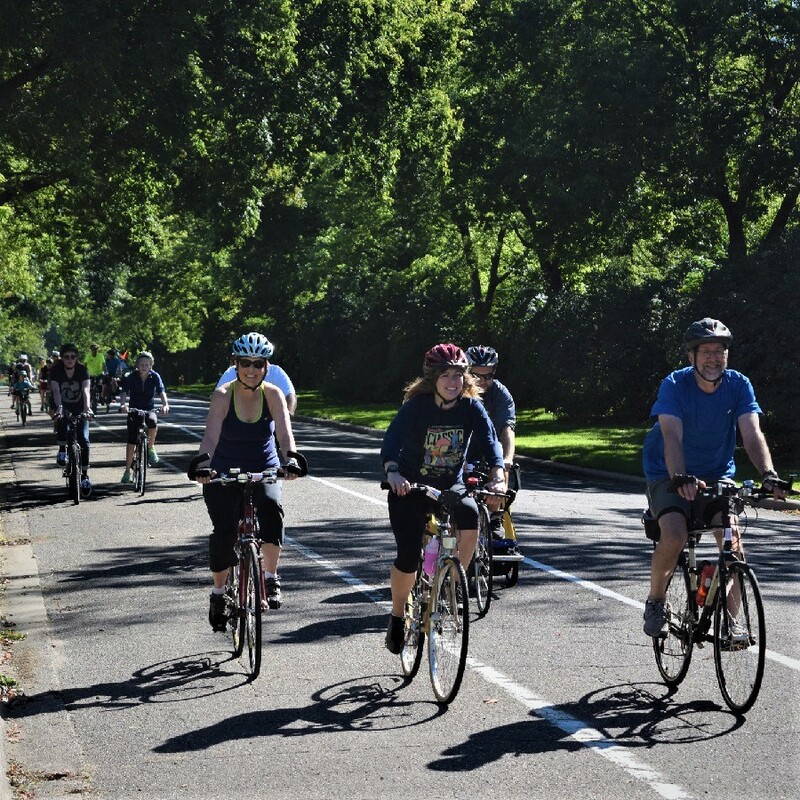 Or get into the zone and plan your next bike outing with family and friends at one of Minnesota’s HaveFunBiking Destinations. 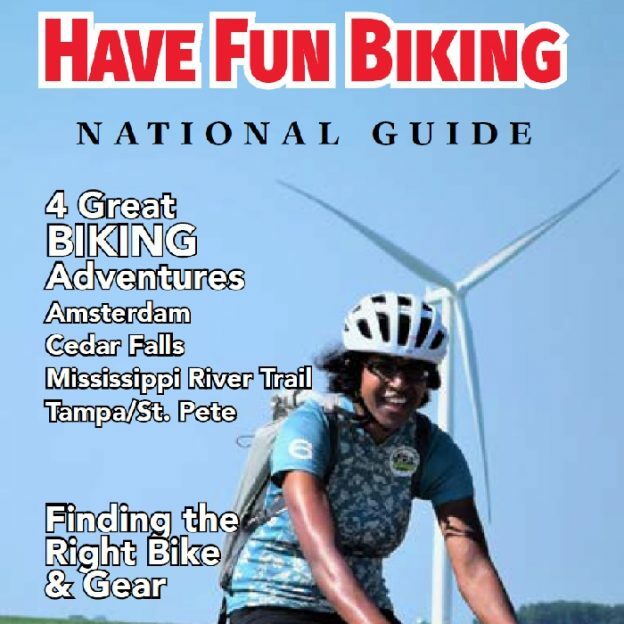 View all the fun ideas and bike destinations in the new HaveFunBiking Guide. 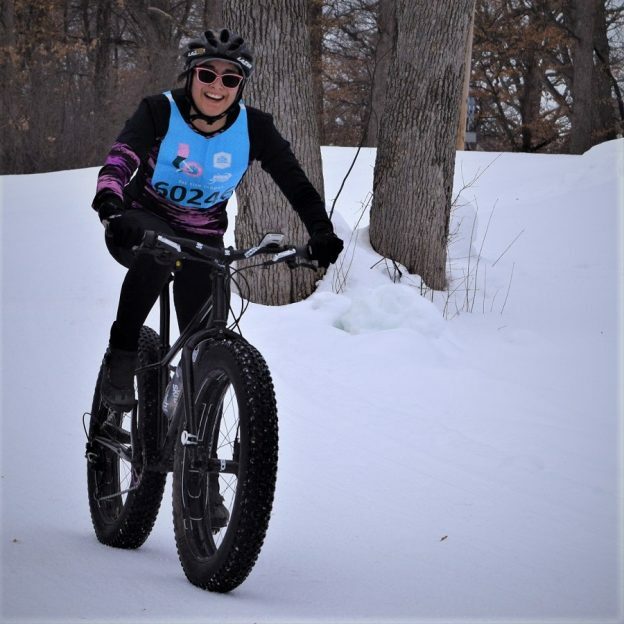 This entry was posted in News and tagged bike events, Bike Iowa, Bike Minneapolis, bike minnesota, Cold weather Fat biking, fat bike events, Fat Bike Loppet, fat biking mountain biking, Friday fun, fun, lake of the Isles, minnesota outdoor activities, MN Trail Navigator, mountain bike events, winter fun on January 26, 2018 by Russ Lowthian. Yeah its Friday and with so many fat bike races coming up why not consider entering one. Not to win, unless you are highly competitive, but to get out on a new fat bike course that is groomed and ready to explore. 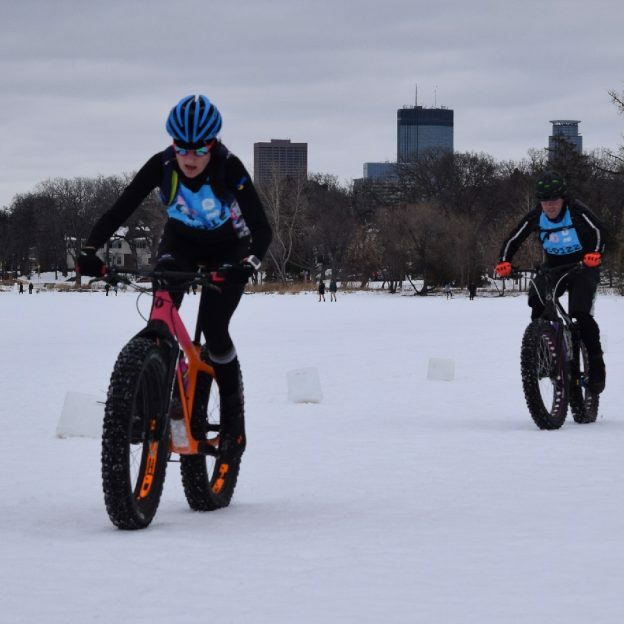 One particular fat bike race is the Penn Cycle Twin Cities Fat Tire Loppet. This annual event starts in Theodore Wirth Park, in Minneapolis, MN, on February 3rd. Utilizing the park’s cross country ski trails, this is the only time fat bikes are allowed in the park throughout the winter. For more fat bike opportunities in Minnesota check out the MNTrail Navigator.com and in Iowa click BikeIowa.com. This entry was posted in News and tagged bike events, Bike Iowa, Bike Minneapolis, bike minnesota, Cold weather Fat biking, fat bike events, Fat Bike Loppet, fat biking mountain biking, Friday fun, fun, lake of the Isles, minnesota outdoor activities, MN Trail Navigator, mountain bike events, winter fun on January 19, 2018 by Russ Lowthian. Yea its Friday and with so many fat bike races coming up in the next several weeks why not consider entering one. Not to win, unless you are highly competitive, but to get out on a new fat bike course that is groomed and ready for you to explore. 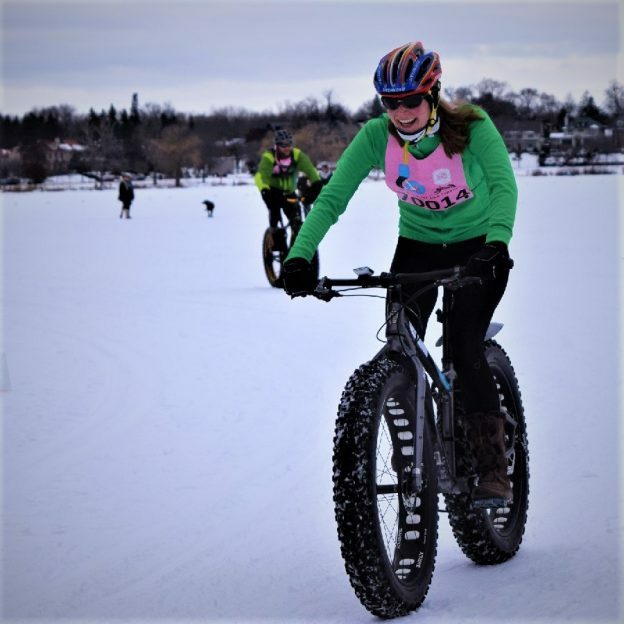 One particular fat bike race is the Penn Cycle TwinCities Fat Tire Loppet. This annual race starts in Theodore Wirth Park, in Minneapolis, MN. February 3rd. Utilizing the parks cross country ski trails this is the only time fat bikes are allowed in the park, through the winter. This entry was posted in News and tagged bike events, Bike Iowa, Bike Minneapolis, bike minnesota, Cold weather Fat biking, fat bike events, Fat Bike Loppet, fat biking mountain biking, Friday fun, fun, lake of the Isles, minnesota outdoor activities, MN Trail Navigator, mountain bike events, winter fun on January 12, 2018 by Russ Lowthian. The temperature is starting to rise as we hopefully had our last snow falls for the season. As spring arrives on Monday, soon You’ll start to see more grass and you won’t have to dress like an Eskimo to go outside. April is only 15-days away and that means its time to get your bike ready the spring bicycling season. Start April off with the 30-days of biking pledge. 30 Days of Biking is a pledge to ride your bike everyday for 30 days in April. Also, there is no minimum distance requirement so you can even ride your bike around the basement for a little bit. Just have fun, or be as serious as you want. And if you miss a day, it’s okay, just keep riding. Also, Remember to share your adventures online, and include the hashtag #30daysofbiking. These races are for every skill level, and perfect for putting those new skills to the test. And if you just want to watch, then you can get into these bike events for free. Fee is $16. You may have to go back to work or school tomorrow, but enjoy Sunday afternoon at the tracks! These races are open to all skill levels. Fee is $16. It’s April and it’s getting closer to where it’s time to hit those outdoor tracks. So get yourself ready by getting in some good practice on the indoor BMX track at Industrial Park. You’ll also be able to meet other riders, and hone your skills in preparation for warmer weather. Fee is $11. These clinics are designed to help you improve your skills no matter your skill level. Each clinic will go over specific aspects of BMX racing such as going through the gates and jumping. These sessions are also taught by certified coaches, assistant coaches, and trainers. This popular racing series will have two races each month and will culminate with the final event in December 2017. Also remember that everyone is welcome to race in these bike events. Fee is $16. The race is a 2-mile run, 14-mile bike, and 3-mile run. It goes all around Cannon River giving you some nice scenery to look at as you put your body to the test. This is the perfect way to start the spring season. There are three different length choices available to fit your preference so you can enjoy the ride as much as possible. There is no mass start for the ride. And you can start as soon as you register and get your wristband and official map. Register now for #braggingrightsguaranteed. It’s time to put all that training to the test with a 300-yard swim, 14-mile bike ride, and limit-testing 5k to the finish line. It’s $25 per person to register and you can also register as a team of 2-3 for $60. This 5-member team racing event is described as time trial meets alley-cat meets Cannonball Run. The race will cover at least 65 miles of roads surrounding Slater, IA. In its 8th year, this ride has two groups for both men women. There’s the beginner races and the advanced races for both mountain biking and road biking. There are also prizes for the first three places of each group. Registration is $20 both before the race and on the day of. Grab your single speed bike and head over to the Central Iowa Sing Speed Championships. The race lasts an hour which will result in one male and one female winner. Afterparty to follow. Those without single speeds bikes can ride as well. Those bikes will be adjusted accordingly. Cost is a $15 donation to the Young Women’s Resource Center. Come on out for a nice leisurely ride through Iowa City. The ride is roughly 10 miles long and there will also be several stops along the way with a nice after party starting at 7 pm. Registration is $20 on the same day and is also available throughout the route. The first 25 registrants will receive a Q7 jersey, and the first 90 will receive an armband. 15th Annual April Fools Ride! It’s the first time this ride has actually happened on April 1st. There’s no registration or cover charge to join. But get up to the Getaway Bar and Grill wearing blaze orange, the ride’s official color, and get ready for the 24-mile roundtrip ride to Phat’s and Grub in Brandon, IA. There’s the option of taking the scenic Cedar Valley Trail or a low traffic highway route. Get the experience of riding under a full moon. This ride is scheduled every time the there is a full moon in the lunar schedule. And remember to be prepared for riding in the dark. This is the 5th year of the ride and great way to test your fitness in time for the spring season. You should also be prepared for all kinds of weather. There’s a choice of the 27 mile ride and a 38 mile ride. Registration is $15 for just the ride and $25 for the ride and supper. All registrations are final and non-refundable. Click here for mail-in registration form. It’s 20th anniversary of the 20 mile ride around the 4 Quadrants of Cedar Rapids. The ride starts at Prime Time and then takes the bike trail downtown, and then across the river. The ride will also stop at a few to-be-determined bars before ending back at Prime Time. The approximately 23 mile route will be led by Mayor T. M. Franklin County. There will also be a post-ride meal and entertainment as well as a drawing for a Momentum brand bike. Click here for registration info. This ride is less than 15 miles and takes you on the trail around Oskaloosa, and there will be a few stops along the way. $20 registration includes one raffle ticket, and $25 membership includes registration, a t-shirt, koozie, and 10 raffle tickets. This ride is mostly on gravel and has a 35- and 70-mile option. Also, the 70-mile ride starts at 10:00 AM and the 35-mile ride starts at 11:00 AM. There’s a $20 cash entry fee. Come ride in support of the Willis Dady Foundation. The ride starts and ends at The Sag Wagon, with stops along the way. The cost is $10 for each rider with all proceeds going to the foundation. There is even chance to win a trip to Chippewa Falls. 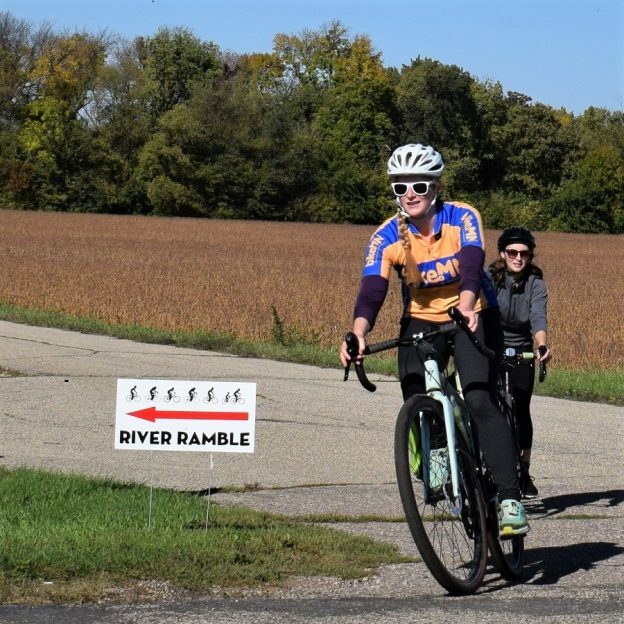 Ride 35 miles roundtrip in support of the Dan Lehn Scholarship Fund at Coe College. It starts at The Sag Wagon South in Cedar Rapids and also travels to Sag Wagon North in Centerpoint before heading back on the Cedar Valley Nature Trail. Register before April 13th to get a t-shirt. This women-only clinic will cover every part of your bike. You’ll learn how to clean your bike, adjust the seat height, basic day-to-day maintenance, and more. You can also bring along any tools and small bike accessories you have questions about. Registration is $35. Also, think about the Root River Bluff & Valley Bicycle Tour, in Southeastern Minnesota this summer. Join the fun as the nine Root River Trail Towns host the 2nd Annual Bluff & Valley Bicycle Tour over the weekend of July 7-9, 2017. 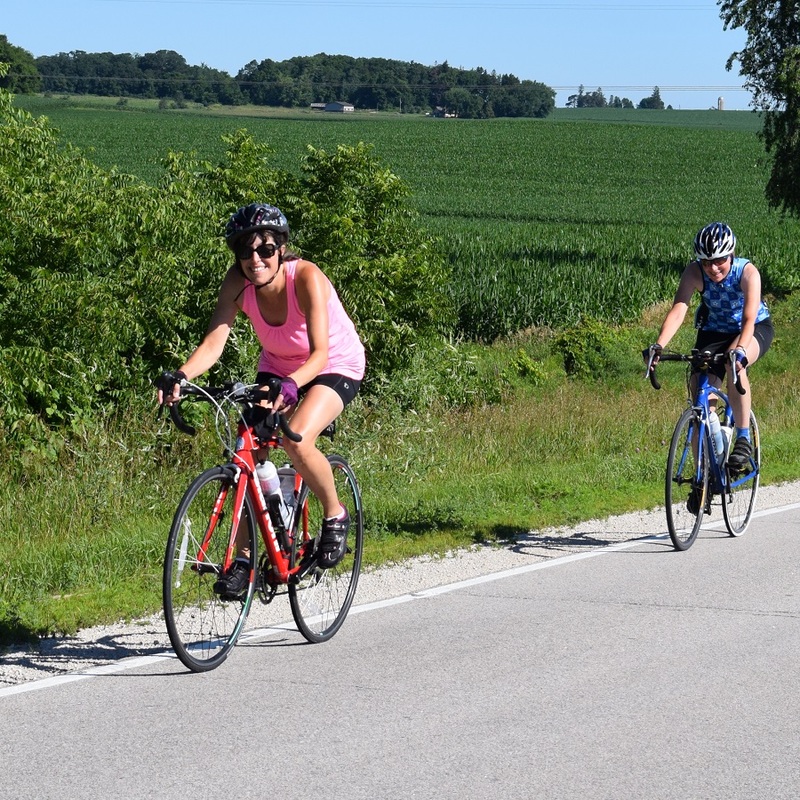 A repeat of last July’s successful inaugural Bicycle Tour, this year’s three-day ride offers a whole new set of routes and scenery. 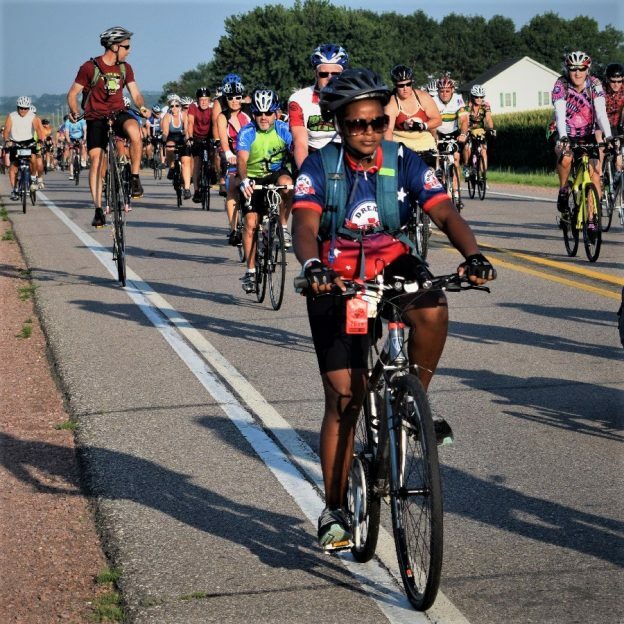 Starting in the Norwegian community of Peterson, participants will pedal through some of the most scenic back-county roads and trails rolling through Minnesota’s Bluff Country. These bike events should help feed your urge to pedal and help get you ready for the spring and summer. If the winter blues are keeping you down just remember spring is on its way. And soon you’ll be on your way to your #nextbikeadventure. 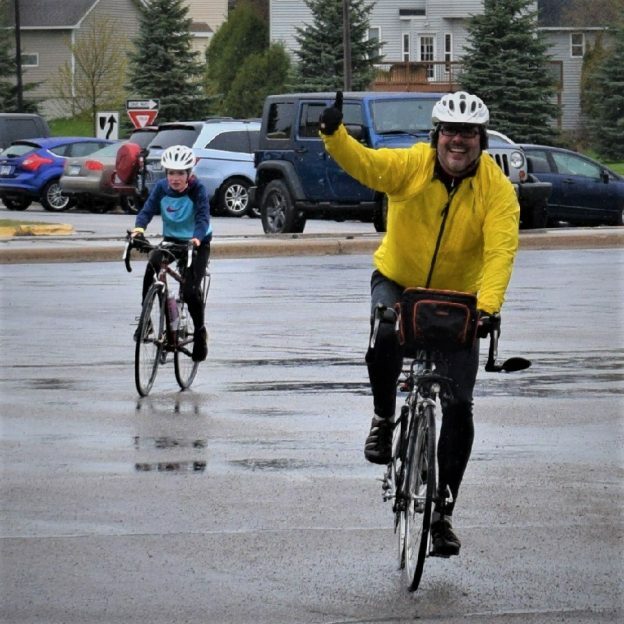 This entry was posted in News and tagged #30 days of biking, #30daysofbiking, #aprilbikeevents, #bikeevents, #braggingrightsgauranteed, #mountainbiking, #onlyinMN, #rootrivertrail, bike events, Bike Iowa, cedar rapids, education, Minnesota Ironman Bike Ride, Mountain Biking, Rum River BMX, willis dady foundation on April 1, 2017 by Andrew Ellis. Have you seen the winter bike guide issue yet? 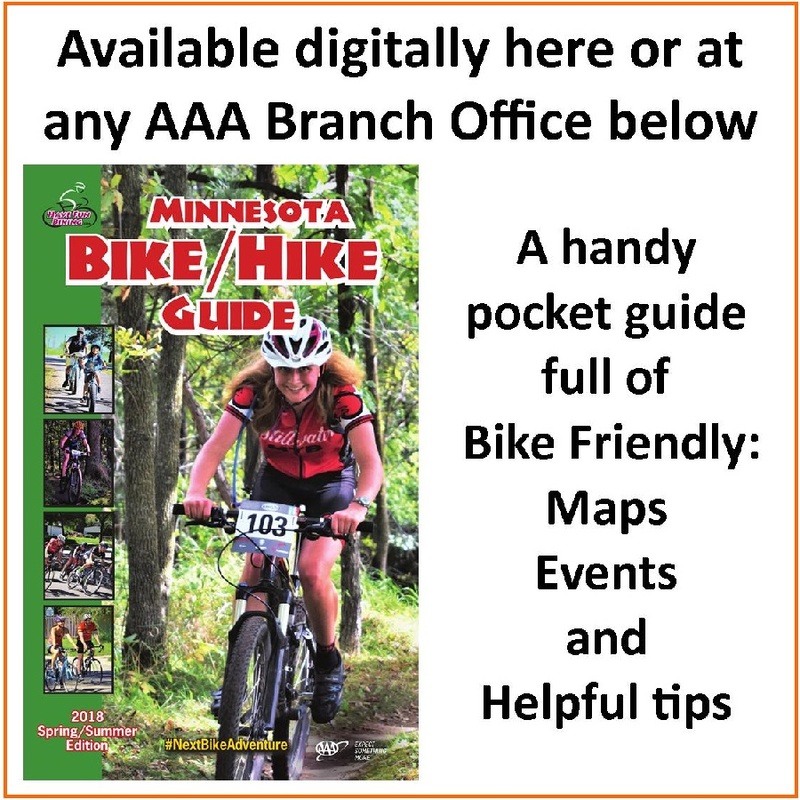 The new edition of the Minnesota Bike/Hike Guide has been updated with more maps and helpful tips for your viewing pleasure. Inside you’ll find up-to-date information to help you plan your next trail ride, back country road adventure, or bike event. You’ll also find great restaurants and other attractions to stop by along the way. And it’s all easily accessible through your mobile device. 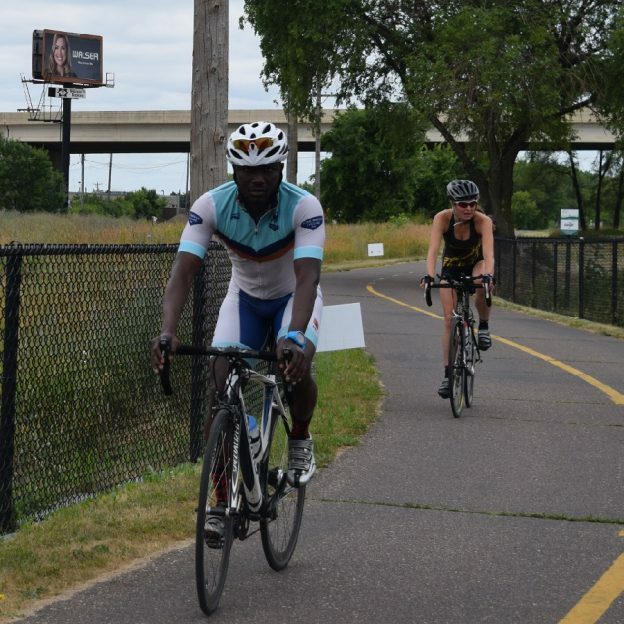 The digital version of the guide Minnesota Bike Guide is published quarterly. This allows us here at HaveFunBiking.com to provide you with regular updates for your next bike adventure. This platform also allows for the inclusion of more maps and bike events taking place over the next few months. It only made sense to make this guide for mobile devices, because you’re always on-the-go. Our maps include links to our web site full of information to make your trip a great experience. There are many updates since our summer issue so be sure to check it out! After you look through the bike guide, feel free to share the link with your friends. They can find their own adventures, or you can plan a group trip full of memories waiting to be made. We want to hear about how much fun you’re having out there so send us your pictures! Add #NextBikeAdventure, tag us in the photo, or email editor@havefunbiking.com for a chance to be featured in our pic of the day. Download the new bike guide here. This entry was posted in News and tagged #fatbike, #fatbikes, #fatbiking, #maps, #nextadventure, #nextbikeadventure, #onlyinMN, bike events, bike guide, bike/hike guide, biking guide, hiking, Minnesota bike events, Minnesota bike maps, Minnesota Bike Trails, minnesota maps, Minnesota towns, Mountain Biking, road biking on January 18, 2017 by Russ Lowthian.